One of my favorite West End shows, “Love Never Dies” is set to close on August 27, 2011. This musical’s brief history (it was launched a little over a year ago) has been one of controversy and ups and downs. Love Never Dies is a sequel to the much beloved “Phantom of the Opera” and purist Phantom fans (or Phans as they call themselves) were opposed from the beginning to a sequel for this love story which was penned by French writer Gaston Leroux in the early 1900s and turned into a stage musical by Andrew Lloyd Webber in 1986. Although many have called the score of Love Never Dies one of Andrew Lloyd Webber’s best, the production was marred from the beginning by negative reviews and low earnings. It was suspended for a week last year to go through a number of modifications. I saw both versions, the one before and the one after the changes and although I agree that the first one had some shortcomings, I enjoyed it. What got me were the production (one of the best theatrical productions I’ve ever seen) and the music. If like me, you’re a sucker for impossible love stories, the song “Beneath a Moonless Sky” will become your anthem. The “Love Never Dies” storyline itself leaves a bit to be desired, and that’s where I understand the Phans’ reservations. The plot is predictable, and, most importantly, there’s too little tension in the love triangle. Also, what’s with the title? Couldn’t they have thought of something more imaginative? Still, if you’re in London I highly advise watching this musical. I saw it in May for the second time and I’m tempted to go again before the show closes. On the other hand, if you’re in Sydney, you can treat yourself to an apparently better version. My little book is in Waterstone's!! 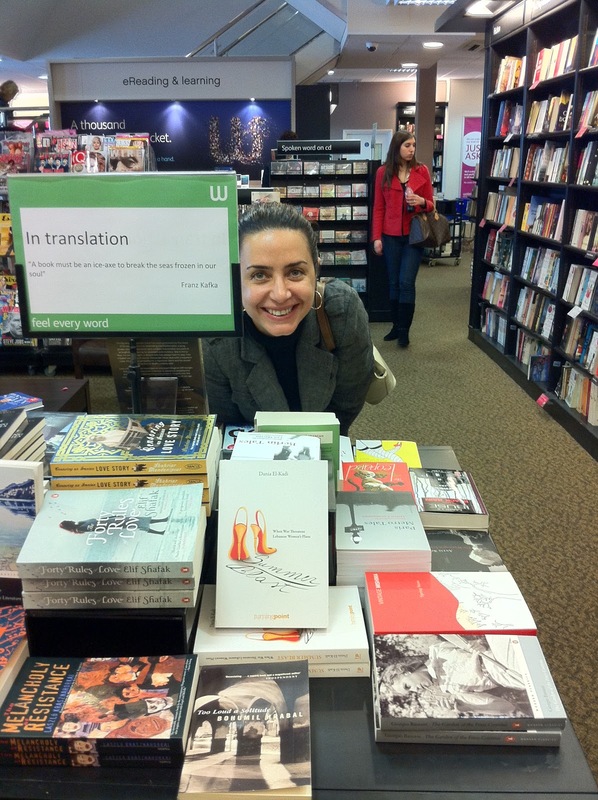 My little lebanese story has made it to Waterstone's, one of the UK's largest book retailers. Granted it's only in one branch so far (Kensington High Street) but it's still exiting! 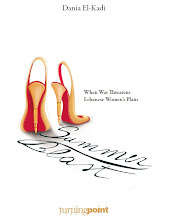 Elle Magazine calls Summer Blast "the ultimate chick lit novel"
OMG! Elle Magazine wrote this amazing comment about my book: "Dania El-Kadi signs the ultimate chick lit novel. From war torn Beirut to glamorous New York, the lives of her three main characters (two cousins and their friend) echo a Lebanese rollercoaster ride, filled with blind dates, annoying uncles, diva fashion designers and Kuwaiti divorces. Trust us, you will not want to put this book down." 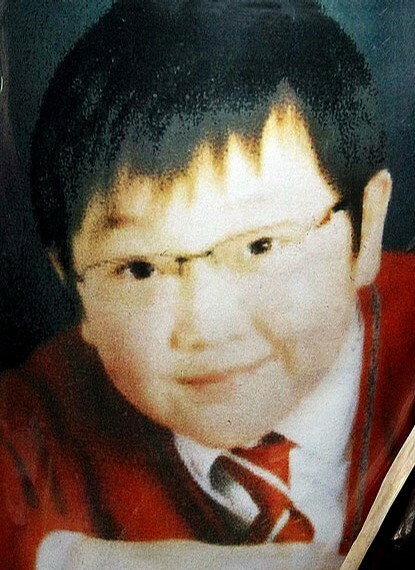 May Nemo rest in Peace and may God help his friends and family in their grief. My thoughts and prayers to everyone who’s ever lost a child. I went to a funeral this week, that of a 10 year old boy I’ve never met, nor do I know anyone in his family. But Yat Yeung “Nemo” Tin’s story moved me the minute a friend of mine told me about a child who had died in a road accident. He said he knew Nemo from church where the little boy had been a regular ever since, eighteen months ago, his mother brought him there for the first time. But she only spoke Chinese and not English, so she didn’t come back and Nemo took to walking to church all by himself every week, striking up a friendship with adults and kids alike. The friend also described the way in which Nemo would go smiling and waving to people on the street. He’d even made friends with the grumpy corner florist whom he would startle by jumping from the back and poking him in the ribs. Something about this, the idea of a little boy who only had ten years to live and went so far to reach out to perfect strangers touched me to the core. It’s like he knew his time was limited and made the most of his short life. The fact that someone like me who'd never met him reacted with such emotion to his story reinforced the thought that Nemo was indeed special. London newspapers covered his death because it brought to light an unsafe crossing near Royal Albert Hall. So I found myself at Nemo’s funeral, surrounded by others who didn’t know him but felt the need to come, by his friends of all ages and walks of life and also by school children who should never have to mourn a fellow pupil. Nemo’s mother stood stoically in her devastation, even as she kissed her son’s casket goodbye when it was taken away by a horse pulled hearse. When I told Nemo’s story to my driving instructor, he said “that boy must have been an angel”. Exactly my thoughts.